Well more appropriately, what a difference a season makes. Most of Mexico experiences distinct wet and dry seasons. When we are having our winter much of Mexico is dry and sunny, while during our summers they are getting their monsoonal rains. 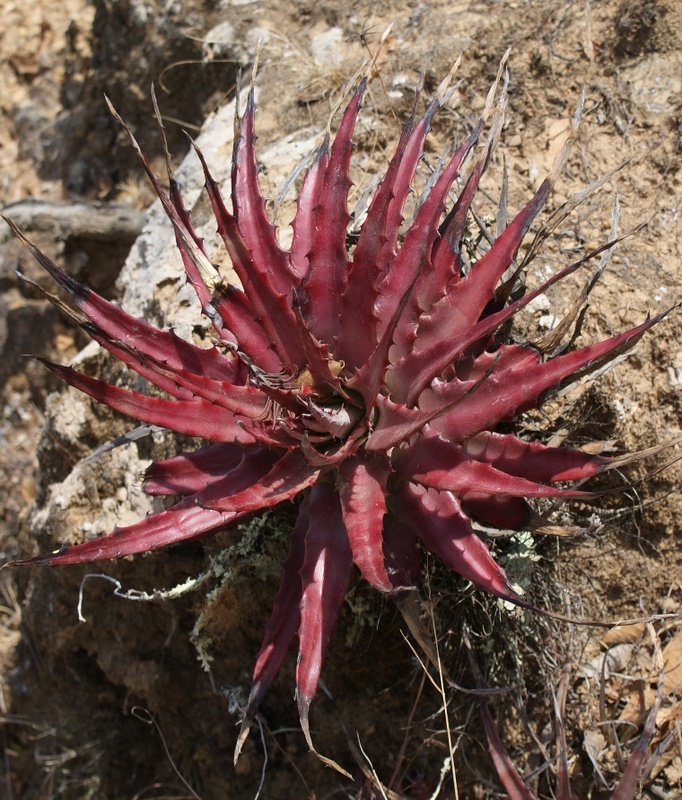 Therefore, plants have to manage to survive through the long dry periods. In the deserts the trees, shrubs, and annual plants drop their leaves or die back. 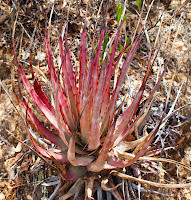 Bromeliads – in this case, the genus Hechtia – along with other succulents like Agaves and Echeverias have adapted to thrive in times like this with novel metabolic pathways that reduced water loss, succulent tissue that stores water, radial symmetry creating a rosette of leaves to draw in any possibly moisture from fog and light rains down to the roots, and sometimes (like in many of the Hechtia) deep reaching roots that search for ground water. 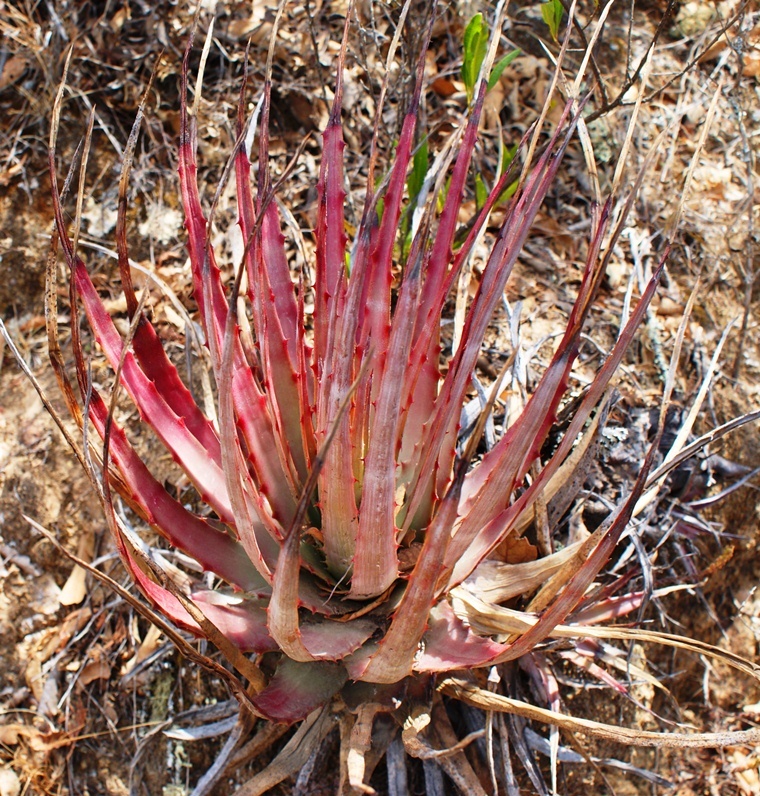 While these plants thrive relative to the deciduous plants during these prolonged periods of drought, they still do suffer. But when the Hechtias suffer, they often give a great show. 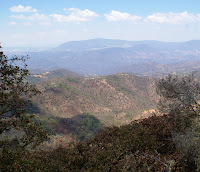 This population above 7000' up in the mountains of Oaxaca all showed different shades of pink. 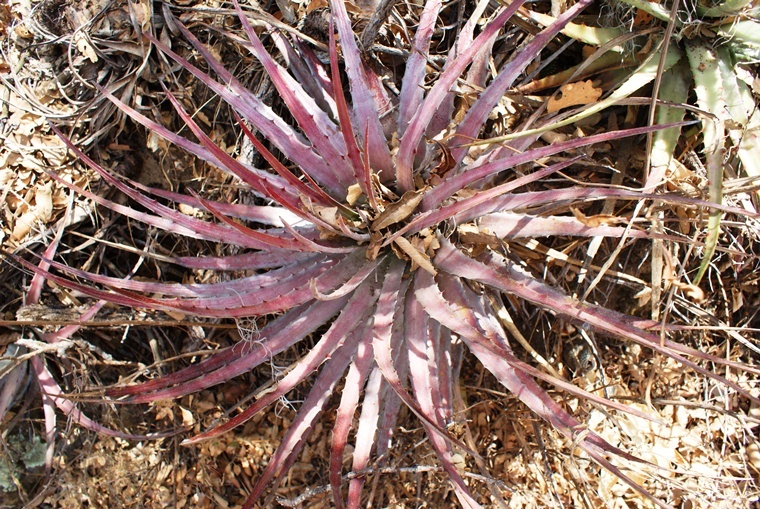 Some are darker pink like the one to the right, above. Some area lighter, dusty pink like the plant on the left. 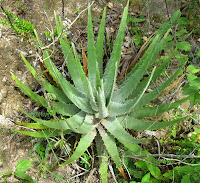 One of the amazing rewards of searching for plants in habitat is the opportunity to marvel at the genetic variation among a single population of a single species. The color was interesting enough, but I was curious if the plants were pink year round or not. 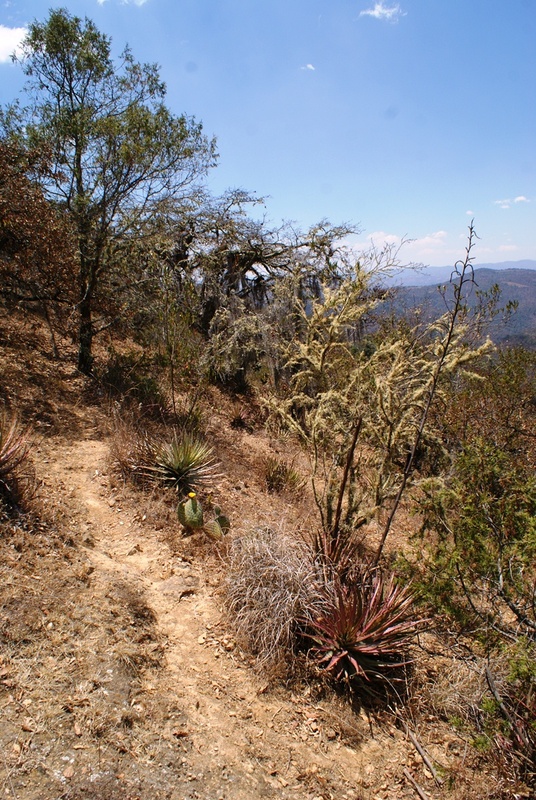 When scouting for the upcoming Oaxaca trip, I was able to go through the same mountain pass just following the rainy season. When driving through I recognized the spot and just had to go see how the plants were doing. It was amazing to see all of the plants completely green with fat, succulent leaves! 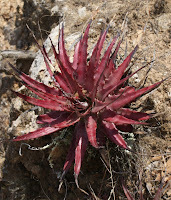 It was even possible to find the exact same plants that I took pictures of during the dry season. 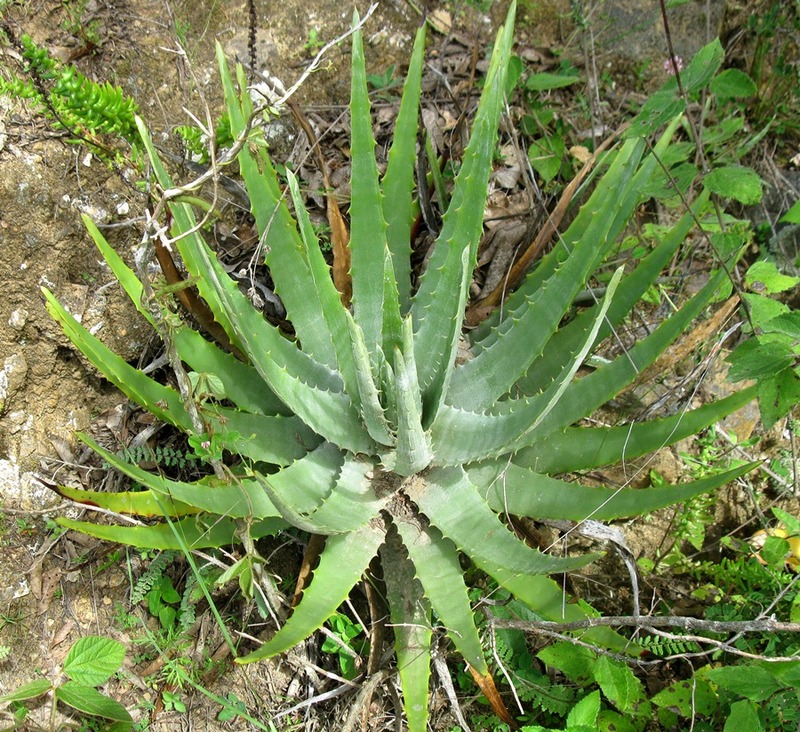 The two pictures here are of the same exact plant! Amazing to observe the struggles and reactions to a harsh existence. Just witnessing and thinking about these adaptations in the natural world is always a thrill. 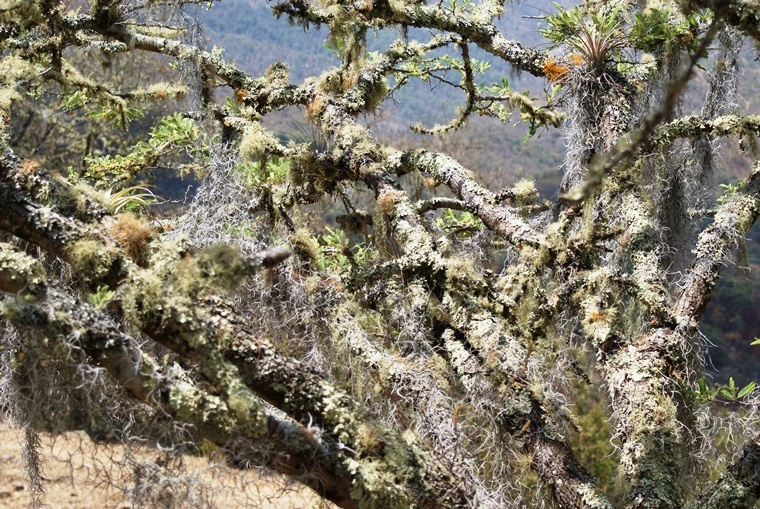 Epiphytes on an oak tree.